Report by Anthony Rosborough (LLM Candidate in the Intellectual Property & Digital Economy Programme at the University of Glasgow). On the 21st of November, Prof. Fiona Macmillan ( Birkbeck, University of London, School of Law) delivered a lecture on the relationship between intellectual property markets and the management of cultural heritage. Chaired by Professor Martin Kretschmer, the lecture was held in the University of Glasgow’s Arts and Humanities Lecture Theatre as part of CREATe’s autumn Public Lecture series. Prof. Macmillan’s main focus was how to properly define and conceptualise “cultural heritage” as a legal concept. She addressed the regulation of cultural heritage in international law under the “authorised cultural heritage” doctrine as established by the UNESCO Convention for the Safeguarding of the Intangible Cultural Heritage, 2003 (the “Convention”). In particular, she addressed the conflicts between a market-based intellectual property system and the realities of how communities develop, recognise, and maintain cultural heritage. Prof. Macmillan argued that the Convention’s reliance on rigid intangible property concepts has, paradoxically, made the identification of cultural heritage less straightforward. She addressed the difficulty in rectifying this disconnect given that states are the ultimate players in international law, as opposed to the communities that are responsible for the creation and maintenance of cultural heritage. 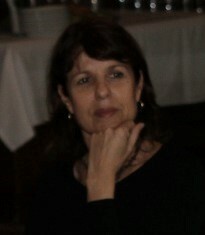 Overall, her main proposition was that there is a significant disconnect between actual cultural practices and the “authorised heritage” concept. As for the utility of the Convention, Prof. Macmillan questioned rhetorically whether vibrant cultural practices require any legal protection to begin with. She questioned the value in listing cultural heritage, especially if those lists are only comprised of cultural heritage that is seen as valuable to Western civilisation. Prof. Macmillan suggested that the cultural heritage regime would be more effective if it could protect contemporary cultural practices from privatisation, including usurpation vis-à-vis intellectual property protections. As to how cultural heritage might be more appropriately defined, Prof. Macmillan addressed the contemporary obsession with the past and the assumption that any surviving practice from the past is “heritage”. This tendency to romanticise history, and ignore the multi-faceted temporal dimensions of cultural heritage, results in an incomplete and overly mechanical view of how cultural heritage is developed, fostered, and valued by communities. In sum, Prof. Macmillan proposed an alternative view of “cultural heritage” as transcending the modern neoliberal era where market thinking is paramount. Instead, she proposed that the law should do more to recognise the role of the community in establishing the values and norms of cultural heritage regulation. The lecture was followed by a number of questions from engaged members of the audience. In response, Prof. Macmillan acknowledged the innate difficulty in persuading both law makers at the international level and communities at the local level that the current “authorised heritage doctrine” is antithetical to its objective. Acknowledging the difficulty in navigating controversy from both sides of the equation, she stressed the importance of finding a solution to the protection of cultural heritage that operates outside of rigid market controls. 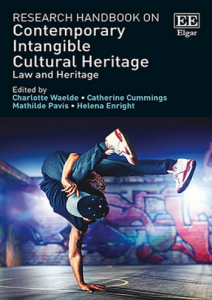 For further details of Prof. Macmillan’s work, see her chapter “Contemporary Intangible Cultural Heritage: Between Community and Market” in Waelde, C, Cummings, C, Pavis, M and Enright, H (2018) Research Handbook on Contemporary Intangible Cultural Heritage. EE Elgar. For further details on the subject of cultural heritage, see CREATe works by Kretschmer, M and Blakely, M.R (2016) “Intangible Cultural Heritage, Intellectual Property, and Cultural Branding in Celtic-Derived Cultures” (detailed here) and Deazley, R and Wallace, A (eds) (2017) “Copyright and Cultural Memory: Digital Conference Proceedings” (detailed here).